Were there slaves in Ancient Egypt? 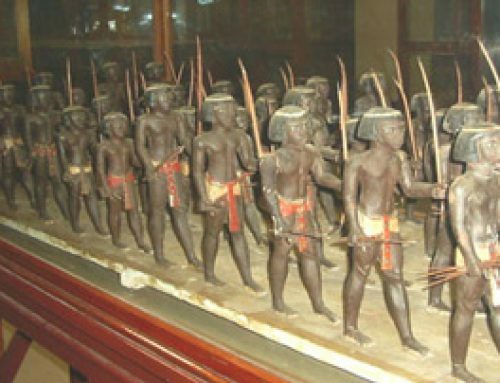 Home » Were there slaves in Ancient Egypt? Where did Egyptian slaves come from? 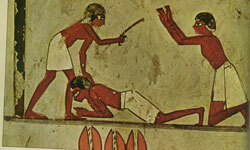 Just like in other parts of Africa, some people in Ancient Egypt were slaves. Some of them came originally from Egypt. Many poor families sold children into slavery. Judges also sentenced criminals to slavery. (There were no prisons yet.) Other people were sold from other countries into slavery in Egypt. Some were prisoners of war. 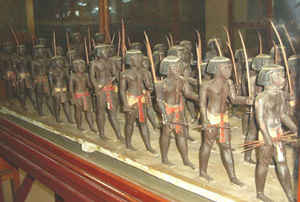 A lot of people from Meroe and Kush (modern Sudan) were slaves in Egypt, and a lot of people from Libya. The most famous story about Egyptian slaves is the one in the Bible about how the Jews were slaves in Egypt, about 1400-1200 BC. Because the Egyptians had just conquered Israel at this time, probably many Jews were enslaved about this time. Then when the Egyptian New Kingdom collapsed, Israel became an independent country again, and the Egyptians stopped being able to enslave the Jews. What did enslaved people do? Most slaves in Egypt probably worked in the fields, like everyone else. But many were house cleaners, nannies, wet nurses, cooks, or skilled dancers, musicians, accountants, and scribes, as Joseph was in the Bible. Everyday Life in Ancient Egypt, by Lionel Casson (revised edition 2001). Not especially easy, but pretty entertaining reading, and Casson knows what he’s talking about. Private Life in New Kingdom Egypt, by Lynn Meskell (2002). A little more specialized and harder to read. Cite this page: Carr, K.E. 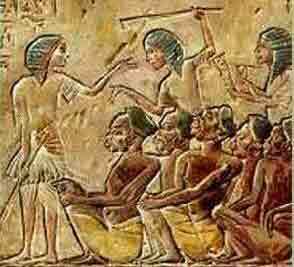 Were there slaves in Ancient Egypt?. Quatr.us Study Guides, June 18, 2017. Web. April 23, 2019.